Just a few weeks ago I switched over to Verizon FiOS. So far, so good! My internet speed is double what it used to be, my phone number is pretty awesome and, best of all, they have a great selection of "on demand" TV shows! I finally got the hang of the gazillion-buttoned remote control and can navigate my way through the "on demand" section like a pro. 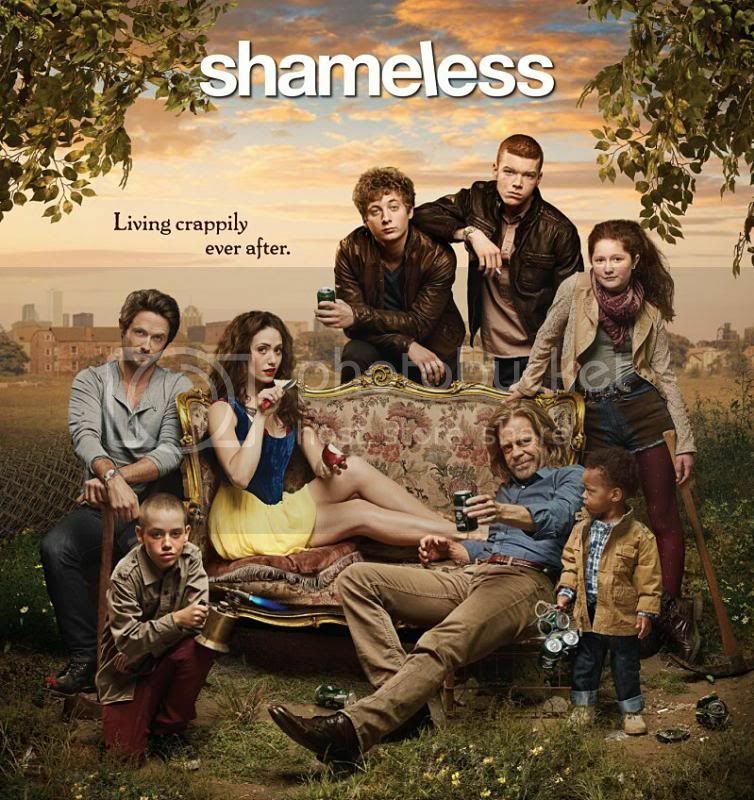 In perusing my options, I rediscovered a long lost Showtime show: Shameless! It's seriously one of my very favorites. So much crass language and humor, mixed with some gut wrenching scenes and characters that make you feel every emotion on the spectrum. It's dysfunction at its best and it's amazing! I watched a few episodes last night and, I kid you not, split my lip TWICE because I couldn't stop laughing out loud. This is definitely one of those shows that makes me want the DVDs so I can share it with my friends. Have you seen Shameless? If so, who is your favorite character? I love them all, but Lip is the best! I just started watching Shameless, too! My parents actually turned me on to it. I love Emmy Rossum. It's pretty funny to know she went from Phantom of the Opera to this. What a change!